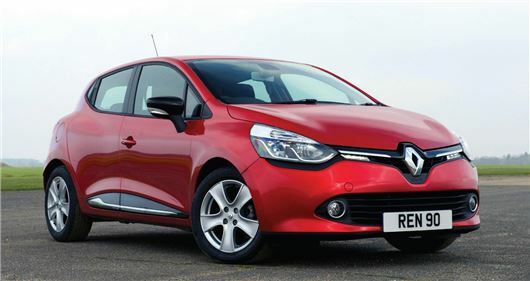 Savings of up to £3000 can be made on new Renault Clios. UK Car Discount is offering cars in Expression+, Dynamique MediaNav and Dynamique MediaNav S trims, with savings of £1500 - £3000. All vehicles are supplied as new and covered by the same manufacturer warranty you would get if you bought the car from a main dealer showroom. What’s more, UK Car Discount is offering free delivery and breakdown cover as standard. Expression+ models features 16-inch Passion chrome alloy wheels, ESC (electronic stability control), electrically adjustable and heated door mirrors, air con, radio/CD with bass reflex system, Bluetooth, USB and Handsfree support, front fog lights, LED daytime running lights, hill start assist, ABS with EBD (electronic brake distribution). Dynamique MediaNav models adds to the Expression+ model: 16-inch Passion alloy wheels in a choice of chrome, black or ivory, 4x20W Arkamys radio/CD system with bass reflex system, Bluetooth, USB and hands-free support, hands free key card, Renault 'MediaNav' integrated on board multimedia system (includes 7 inch touch screen & Navteq Nav 'n' Go sat nav system). The Dynamique MediaNav S adds the following: choice of Design upholstery in carbon cloth with grey, red, blue panel inserts and hexagon detail, 17 inch Desire alloy wheels in black (standard), ivory, red or blue inserts, central armrest, body coloured rear parking sensors, automatic climate control.